Born and raised in Oakland, California, Leonard B. Lothlen was first inspired by his father, who played the guitar and preached on the streets of the city. Leonard began playing the guitar during church services at the age of 13. At age 15, he wrote his very first song entitled, “I’ll Be So Satisfied,” and formed his first quartet group at age 15. At age 16, he began playing and singing professionally. To date, he has published and written over 200 songs, recorded over 10 albums, played for various recording artists, and was even nominated for a Grammy Award. At an early age, Leonard was heavily influenced by early Motown and Philadelphia sounds, with groups such as the Temptations and the Delphonics, evident in the rich harmony in the vocal arrangements. His sound can also be compared to that of groups like Earth, Wind and Fire, Lenny Williams & Tower of Power, and Chicago. In the early days of Gospel, Leonard was influenced by the Mighty Clouds of Joy and the Violinaires. He loved going to the Gospel Quartet concerts whenever they visited the west coast. It’s this rich mixture of influences that creates his unique, powerful, and energetic sound, spanning many genres, including hard-hitting Gospel, Blues, Jazz, Contemporary Christian, Hip-Hop, Rock, R&B, and Urban Contemporary. Leonard firmly believes that music is universal and will speak to the hearts of people all over the world, giving people hope during these troubled times, and motivating people to enter into a new dimension of Rhythm and Praise. One of the things that also sets Leonard Lothlen’s music apart is the message in his songwriting. Performing mostly songs that he has written himself, Leonard has also written songs for various recording artists. The music he has written throughout the years has always been unique and up-lifting. 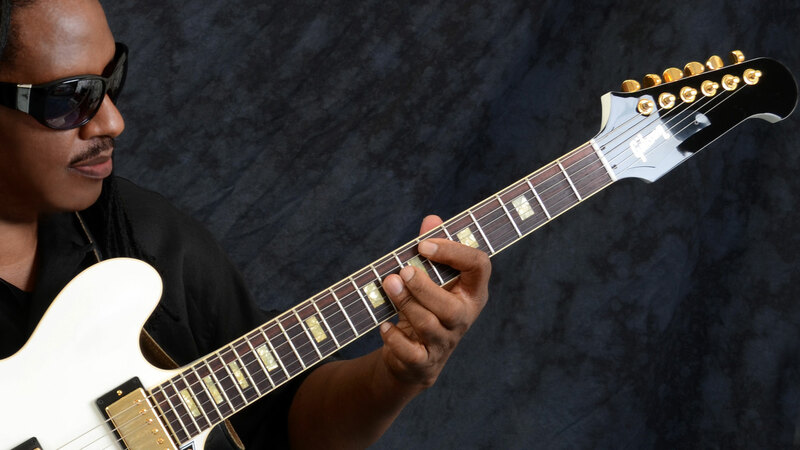 Leonard has traveled throughout the United States and Canada performing Blues, Jazz, Folk, and Gospel at concerts, festivals, various venues, and even prisons. His early album releases include two albums with The Gospel Clouds – “Keep On Prayin’” in 1974 and “Steamin’” in 1977. He then released four albums with Infinity – beginning with a self-titled release in 1981, followed by “Spread The Word” in 1984, “Show Me The Way” in 1989, and “New Direction” in 1994. Leonard composed a score for the musical drama written and directed by his brother, Charles D. Lothlen, entitled “The Accused.” Performed by the Kaleo Christian Fellowship Choir of Oakland, California, it is a powerful, energetic, and colorful portrayal of the life, times, and ministry of Jesus Christ from birth to crucifixion to resurrection. The 14 original songs contrast various styles including Gospel, Classical, Folk, Contemporary, R&B, and Hip-Hop, to draw its listeners into the drama and take them on an amazing musical journey. The songs were released locally as an album in 2002, but have not yet been distributed nationally. 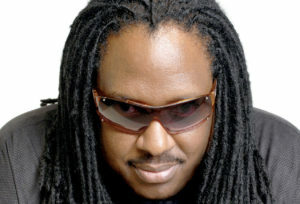 The Leonard Lothlen Band released the singles “Back In The Day” and “Praise The Lord With Me,” in 2006. They were later included on the full album, “Incredible Journey” that was released in 2009. The album garnered major crossover appeal with a collection of 15 explosive, high-energy songs, marrying Traditional Gospel, Adult Contemporary, Jazz, Hip-Hop, R&B, Rap, and Urban styles. After the death of his brother, Charles, in 2012, Leonard found it impossible to continue writing. Since they had been making music together since they were teenagers, this was a devastating loss for the family and the band. The band eventually continued to rehearse, and even prepared to go out on the road again. Then, in 2016, Leonard’s sister, Donna, who also sang with the band, passed away suddenly. That tragedy was compounded when his older sister, Carolyn, passed away in early 2017. Carolyn was the one who introduced Leonard to Gospel music by taking him to his first concert at age 10. During this very difficult time, he wasn’t sure that he could continue on making music without his family, but he soon felt a strong urge to start writing again. While working through his grief, Leonard began to hear the music and lyrics, the orchestration and arrangements. This catharsis has given birth to an entirely new inspiration… a new beginning. Leonard Lothlen will continue on as a solo artist, a songwriter, and a composer for stage and screen. He looks forward to the future with a fresh new start in his new home of Atlanta, where he will complete work on his latest recording project. He plans to release a series of singles before the end of the year, followed by a full album release, including at least 18 new original compositions. He will also be working on songs for two upcoming stage plays, as well as a movie score. The music of the Gospel Clouds, Infinity, and the Leonard Lothlen Band is currently distributed by Orchard / Sony Music Group. You can find all of their albums on the major music services, such as iTunes, Amazon, Google Play, Spotify, Tidal, and YouTube. Visit the Music page for links.